 Here at SafetyLiftinGear.com, we stock a range of rope winches that are ideal for all kinds of pulling and lifting tasks. All of our rope winches are supplied with winch rope and a latch hook included, although our high-strength winch rope is also available to purchase separately. Our sturdy rope winches have impressive lifting and pulling capabilities and can be used to complete all kinds of different jobs, from winching vehicles to pulling down trees. Each winch has an aluminium body that's tough yet lightweight and easy to carry around. 1600 Kg Winch Rope, Length options 10m to 50m. Wire Rope Winch 1600kg c/w Winch Rope, Pulling 2400kg. Wire Winch Rope 3200kg c/w Winch Rope, Pulling 4000 Kg. As mentioned above, we also sell winch rope as a standalone product. If you already own a rope winch but need to replace the rope, we can meet your requirements - our ropes are available in many different lengths, and each one comes with a latch hook included. Click here to browse our full range of winching products, or call 0808 123 69 69 if you have any queries.